Every woman loves a bit of sparkle in her outfit. But so often we only wear our glitzy pieces for a fancy dinner, date or another evening event. I’m here to tell you that you don’t have to save your sequins for after the sun goes down! When styled correctly, adding sequins can elevate any outfit during the day — without making you look like a disco ball. Rather than waiting for a night out, put on your favorite glimmering attire for an afternoon outing, work or class. Follow my styling tips below and learn how to shimmer with confidence at any time of day. Anything paired with denim will give your sequins a more laid-back vibe. 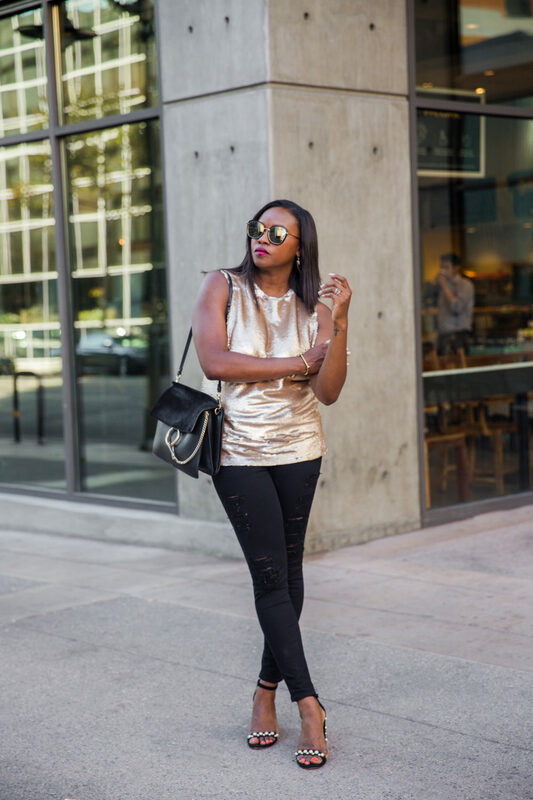 If you’re wearing a metallic top, try it with jeans. If you’ve got a sequin skirt, a chambray top or denim jacket is a solid option. A casual knit sweater in a neutral shade balances out a high-shine pencil skirt. You’ll feel cozy and polished—perfect for a networking mixer. Add a strappy heel and you’re ready to go for a date night. Try this season’s must-have sock boot in a sequin sparkle. 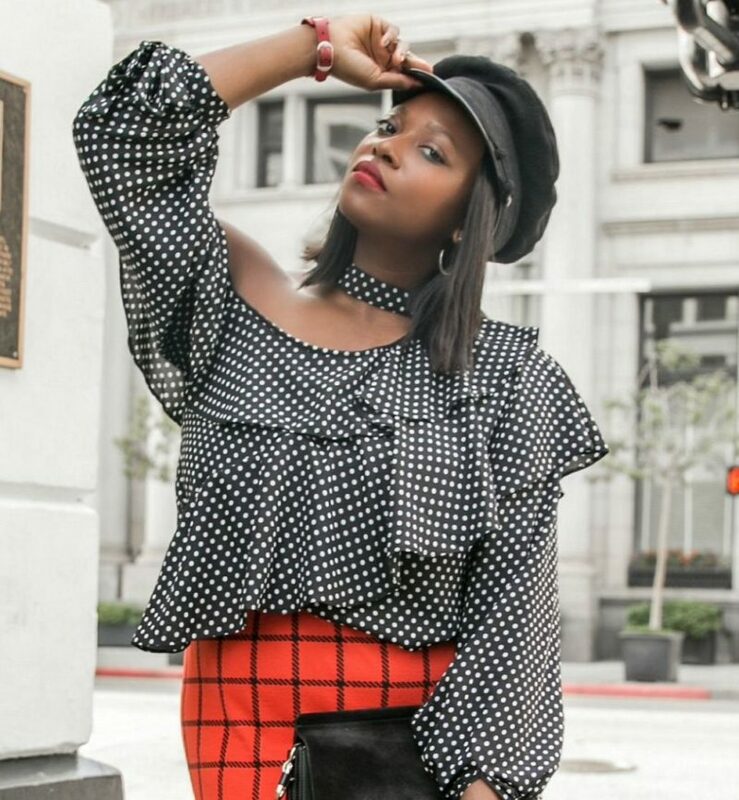 Pair with a dark midi dress or tailored wide-leg trouser to up your style game. A sequin bomber or top will look so effortless when thrown over a black one-piece. I also love this look with a colorful skirt. Check out how I styled this magazine spread for CVLUX. You can easily wear it for day and night by swapping sneakers for heeled booties. Still not sure how to make it work? You can shop the look below, and set up a styling appointment by contacting me here. Keep on shining!